The ultimate casual clothing; we have a range of men’s zip up sweaters here at Outdoor and Country that are sure to suit any style. 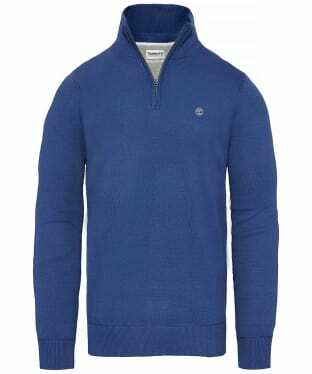 Available in a range of designs, styles and colours and from brands including Barbour, Aigle and Joules; we have a range of men’s half zip jumpers and sweaters that are ideal for the fan of all things casual. 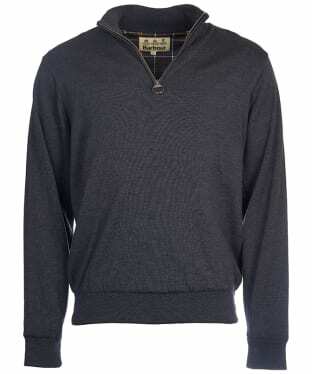 Why not have a look and see if our collection has something for you, today? 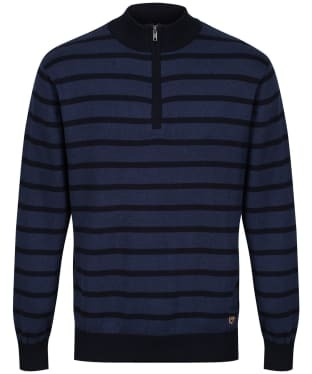 A favourite piece season after season, the Men's Joules Hillside Zip Neck Jumper is perfect for placing over your favourite Joules shirt or tee to complete your stylish look with ease. 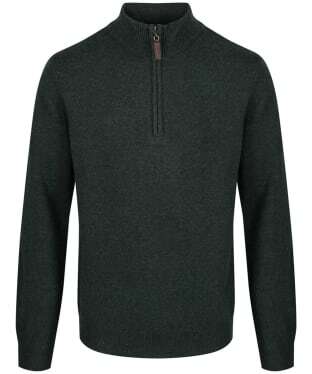 Designed with a zip neckline that fastens up to funnel neck, the Hillside is sure to keep those chilly winds at bay. This on-trend jumper is finished with ribbed hem, cuffs and neckline for a flattering fit. 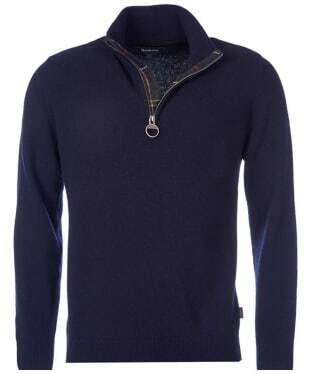 Perfect for smart casual occasions, the Schoffel Lambswool ¼ Zip Sweater is a fantastic layering piece for the cooler weather. 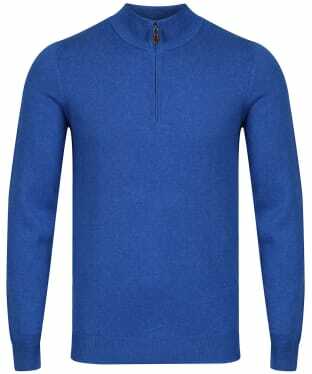 Crafted from 100% pure lambswool for a supersoft, luxurious feel, the Lambswool ¼ Zip Sweater will look fantastic layered over your favourite country shirt, and features a ribbed hemline and cuffs for a neat fit. The ribbed, zip neck can be pulled up under the chin for cooler days. 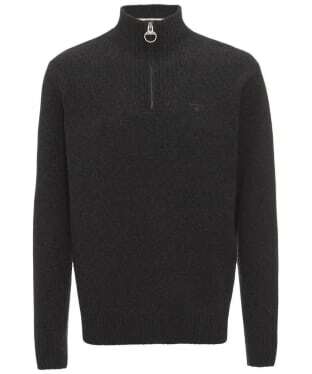 The zip is finished with a leather pull tab with Schoffel branding. 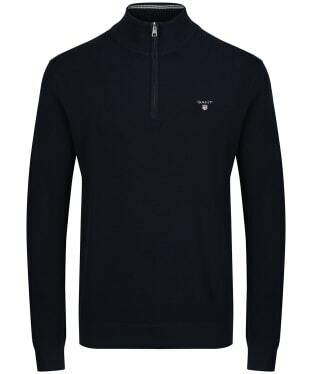 Whether heading into the town or countryside, the Men's Schöffel Merino ¼ Zip Jumper is a stylish and practical garment crafted from lightweight merino wool for an insulating feel against those cold chills. 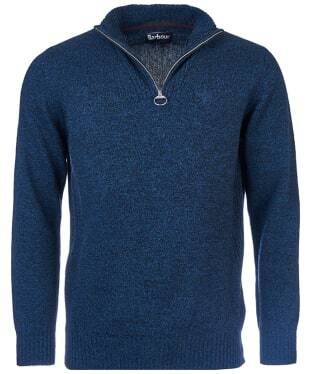 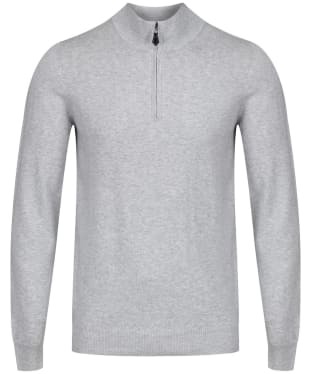 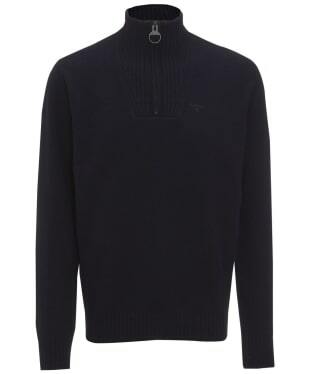 Featuring a ¼ zip neck for a contemporary look, the jumper also features contrasting inside neck and elbow patches which complements the body colour and makes for a smart on trend look. 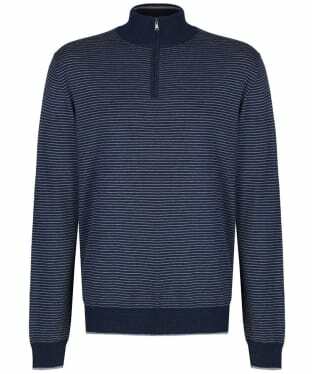 Ribbed cuffs and hem ensure the jumper sits neatly against the body and this will look great teamed with your favourite jeans or trousers when you are heading out this season and beyond. 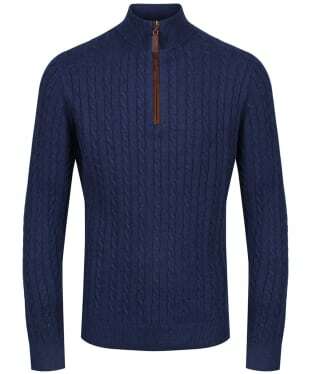 Add a touch of comfort and style to those casual days this season with the Men's Dubarry Abbeyville Zip Neck Sweater, offering you a lightweight and breathable sweater that has been crafted from 100% cotton. 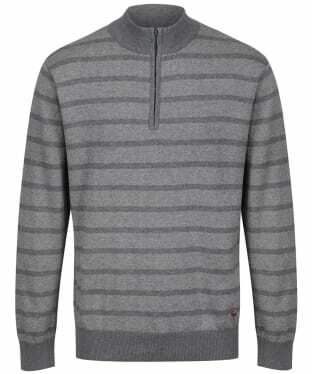 This simple yet stylish sweater boasts a tonal stripe you are sure to love. 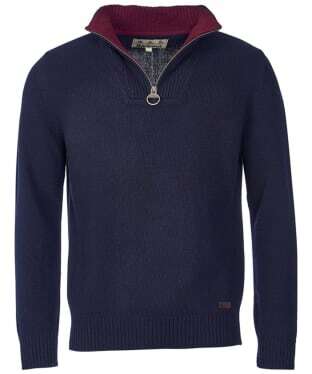 The Dubarry Abbeyville looks great teamed with both jeans and chinos and will carry you through this season and beyond with stylish ease. 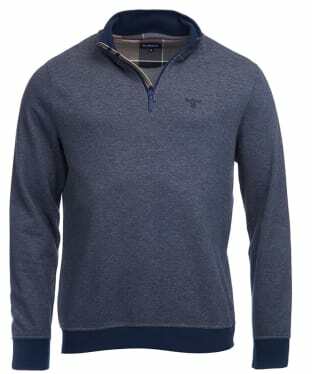 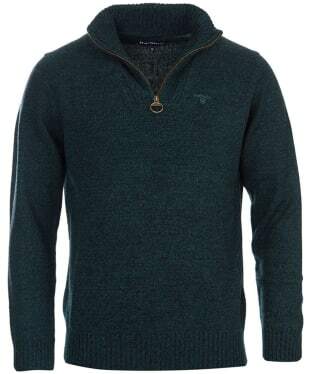 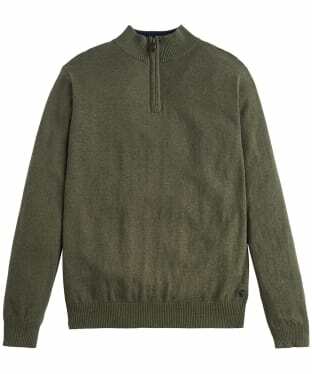 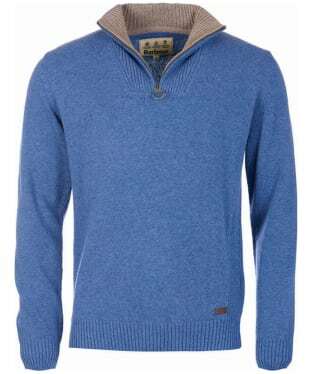 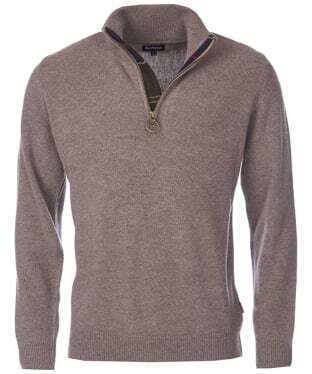 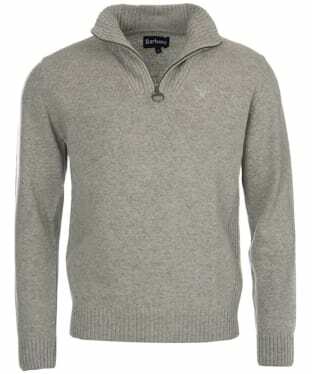 The zip neck detailing completes the casual look of this sweater and the classic Dubarry branding gives the mark of their well-known quality. 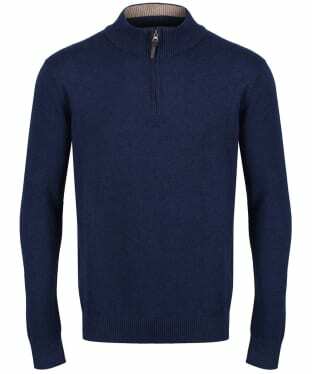 The Men's Barbour Whiteside Half Zip Sweater is a smart sweater knitted in a cotton blend with tonal ribbing at the collar and cuffs. 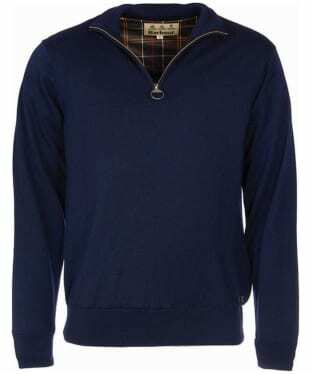 It's designed to offer a streamlined fit and detailed with inner trims in Barbour's signature Dress Tartan. 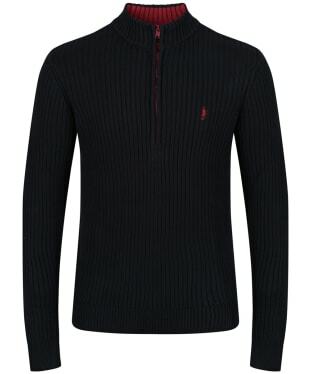 This refined layer is finished with logo and shield embroidery at the chest. 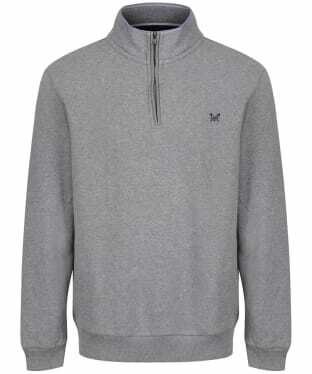 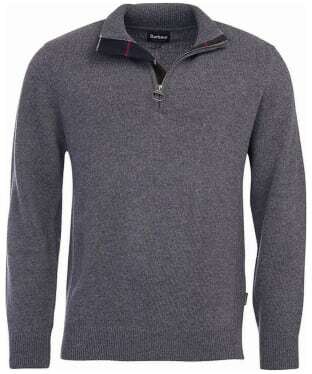 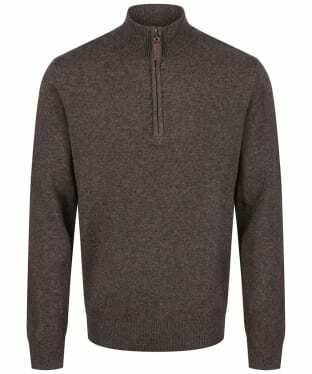 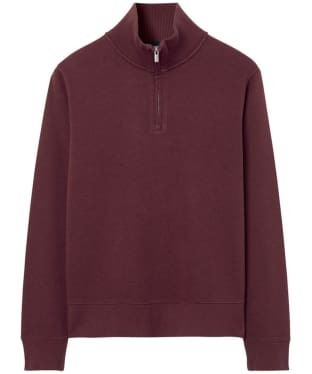 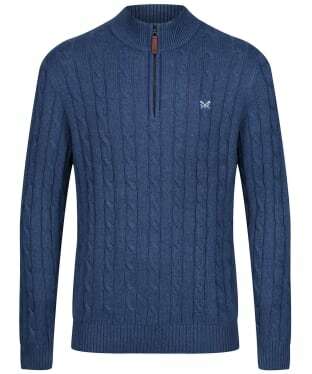 The Men's Alan Paine Wilshaw Half Zip Sweater is the ideal companion whilst out enjoying the countryside this season and beyond, crafted from a blend of wool and polyamide for a comfortable yet durable sweater you are sure to love! 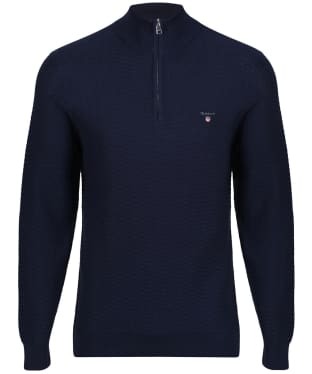 The Wilshaw has been tailored to a classic fit allowing for more freedom of movement, finished with a breathable membrane lining for an added touch of comfort and wearability. 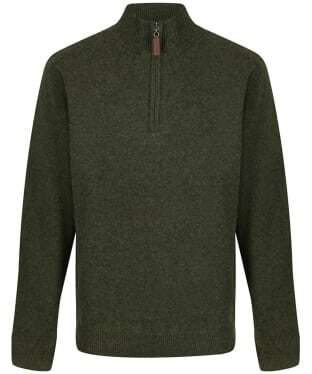 For the perfect mid-layer on those colder days this sweater features windblock technology. 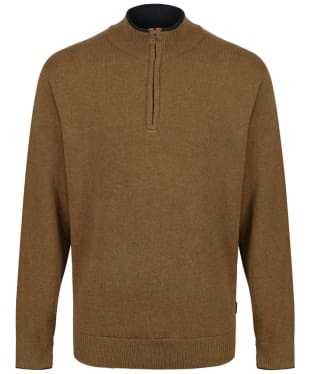 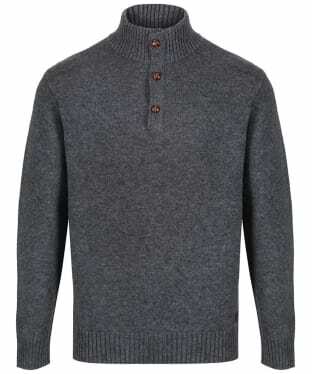 Part of the knitwear collection, the Men's Jack Murphy Carlton Jumper has been crafted from 100% cotton and offers a super comfortable and warm knit versatile enough for both casual and work wear. 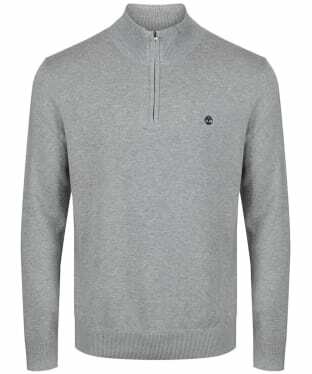 Expertly crafted into a stylish rib knit design, the Carlton also features a quarter zip collar, and has been rounded off with the Jack Murphy logo for that final stamp of style and quality. 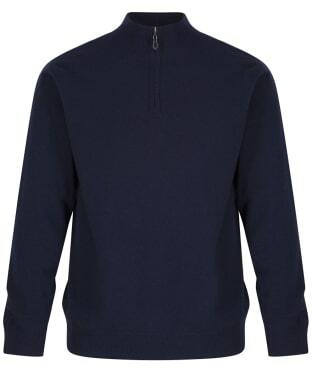 Perfect for layering under your favourite jacket in the colder months or wearing on its own on milder days, the Men's Jack Murphy Carlton Jumper will complete your stylish and smart look with ease. 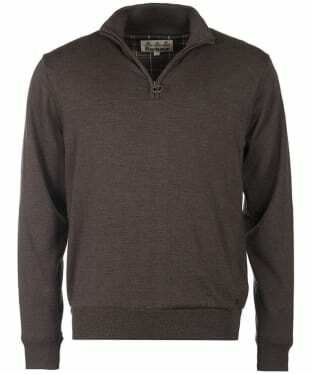 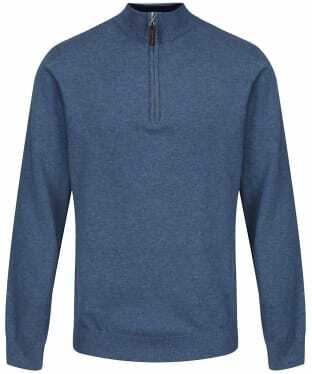 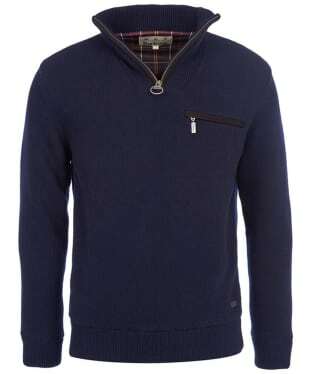 Cut from 100% cotton for comfort and warmth, this timeless GANT Sacker Half-Zip Sweatshirt s a great option for everyday wear. 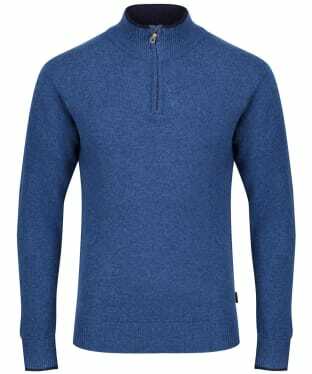 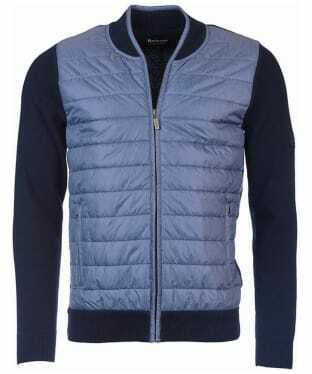 With ribbed cuffs and hemline for a neat and comfortable fit, this half-zip sweater is ideal for layering under a gilet during the changing seasons. 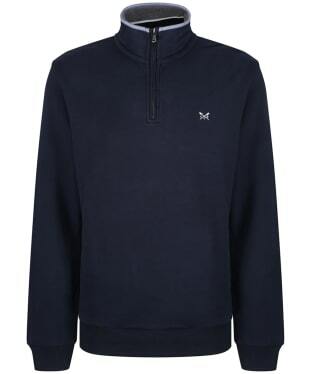 The GANT Sacker Half-Zip Sweatshirt is finished with the signature GANT logo to the chest. 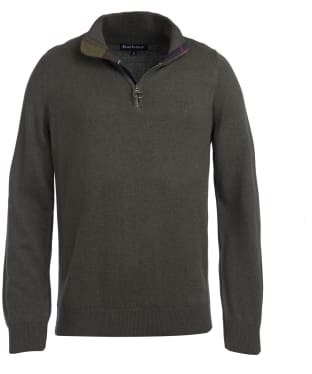 Discover the best of both worlds with the Dubarry Mallon Sweater. 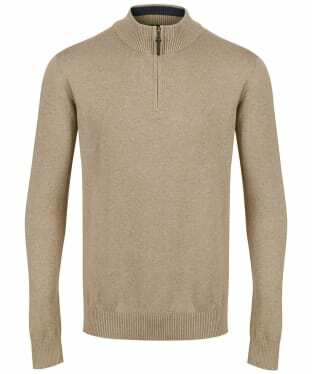 Featuring a half zip neck covered with a buttoned placket for added style points, this stylish lambswool sweater will make a welcome addition to any country gent's wardrobe. 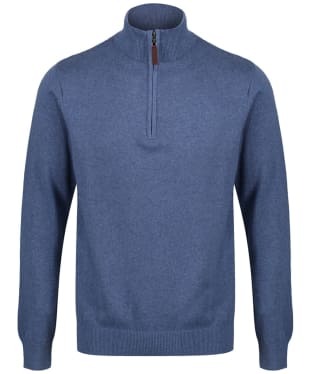 The ribbed collar, cuffs and hemline make for a great fit every time, while the soft touch, heathered yarn construction offers textural interest. 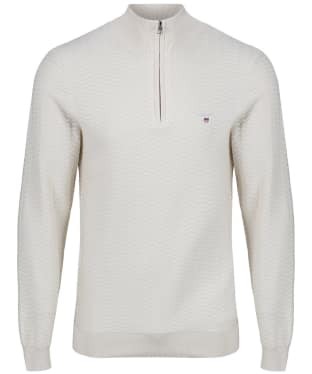 The Schoffel Cotton Cashmere Cable 1/4 Zip Sweater is ideal for smart, casual occasions where the weather may not be on your side! 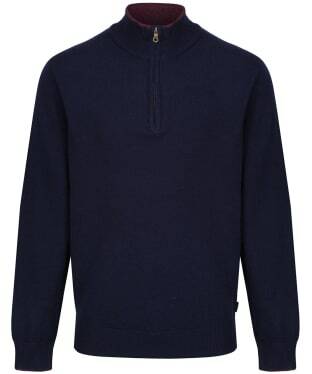 The luxurious cotton and cashmere construction is perfect for staying warm and comfortable when the temperature drops, while the ribbed cuffs and hemline offer a perfect fit every time. 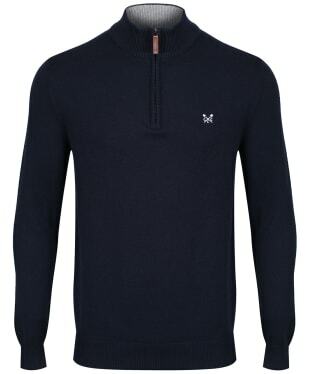 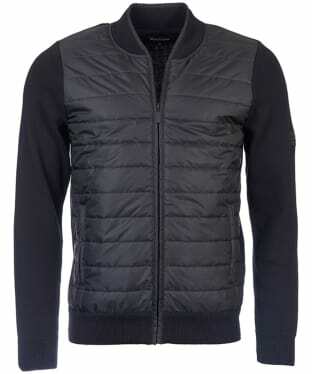 The neckline is also ribbed, and can be zipped up under the chin for added protection from the cold weather. 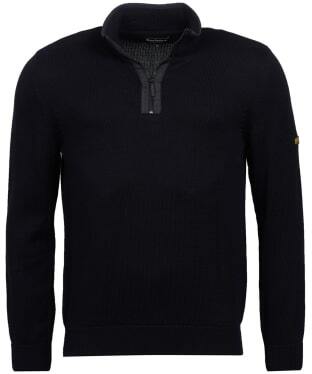 The zip features a leather zip pull with signature Schoffel branding.